Home Lifestyle Health Which countries eat the most meat? You may have heard an increasing number of people vow to reduce their meat-eating lately – or cut it out altogether. 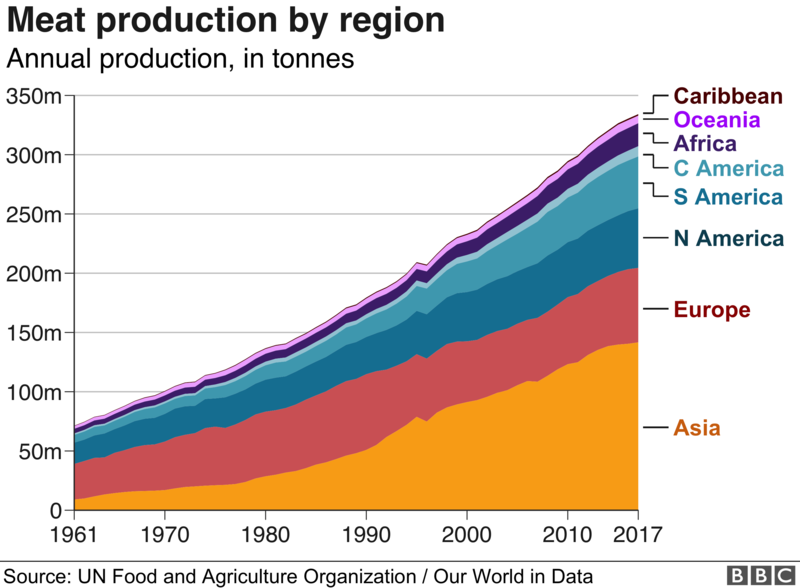 Meat production today is nearly five times higher than in the early 1960s – from 70 million tonnes to more than 330 million tonnes in 2017. 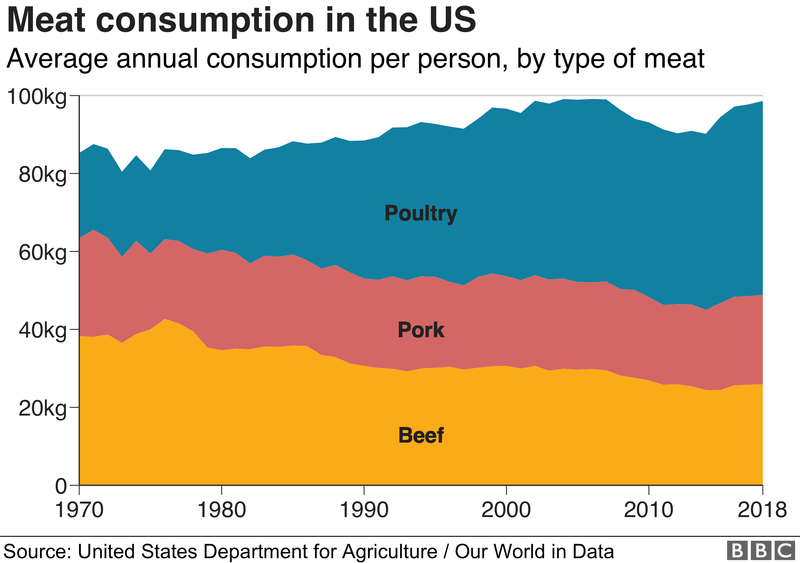 While population is part of the story, it doesn’t entirely account for why meat production increased five-fold. There are not just more people in the world – there are more people who can afford to eat meat. At the other end of the spectrum, many of the world’s poorest countries eat very little meat. These figures represent the amount of meat per head available for consumption, but do not account for any food wasted at home or on the shop floor. 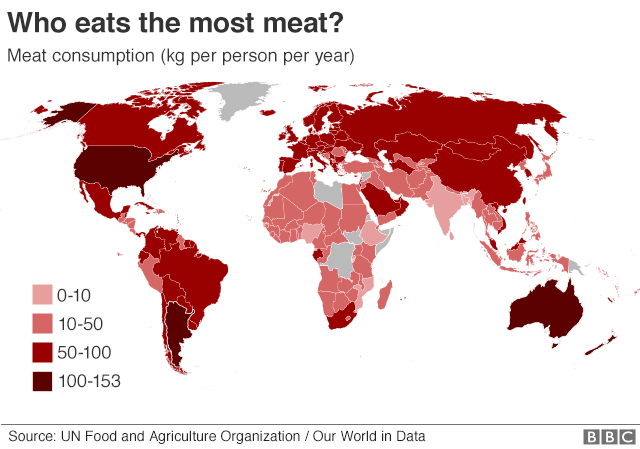 In reality, people eat slightly less meat than this, but it’s still a close estimate. 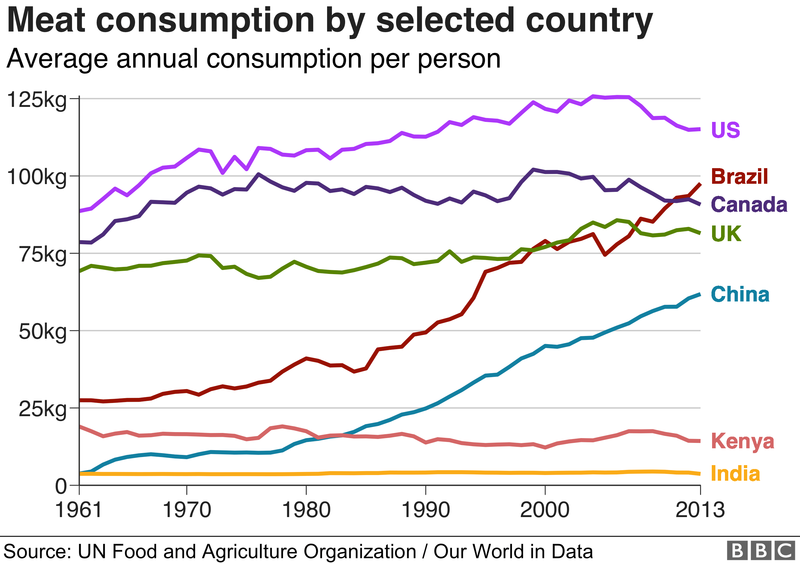 The same thing happened in Brazil, where meat consumption has almost doubled since 1990 – overtaking almost all Western countries in the process. While average incomes have tripled since 1990, meat consumption hasn’t followed suit. It is a misconception that the majority of India is vegetarian – two thirds of Indians do eat at least some meat, according to a nationwide survey. It’s a similar picture with meat consumption in the EU. This means less red meat – beef and pork – and more poultry. Moderate quantities of meat and dairy can improve people’s health, particularly in lower-income countries where diets may lack variety. Essentially, meat would have to become more of luxury again.